The first and most important part of boat shipping to South Africa is preparation. If you get this key factor right then it makes all the subsequent parts of the process less liable to become problematic. The kind of preparation required will depend on the vessel and all of the elements that it contains. If your vessel is equipped with a lot of kit it is important that you have a clear itinerary of all the items on board. Once you have listed all the items it is important that this itemised list is approved by the transportation company. You will need to ensure that this list is used at the destination point to ensure that the delivery process is completed properly. In order to ensure you get the transportation right you must get an accurate measure of the vessel. The transportation company will need to know this in order to get the correct trailer. You must remember to include swim platforms, bow pulpits, outboard motor platforms and outboard motors themselves. You will need an accurate measure of the height as well to ensure that a route can be chosen with adequate clearance for transit. It is important to secure all of the items within the vessel. Any moving parts should be harnessed. You will require plenty of strong duct tape and yards of bubble wrap. You will need to remove volatile items like gas canisters and make sure anything that contains liquid is firmly capped away. For the interior the general rule should be, ‘If in doubt, pull it out!’ This includes any valuables, and particularly electronic gear that might be damaged, or lost, in the move. It is also an important part of preparation to make sure that you have secured the exterior of the vessel; this should include anchors, any exterior electronics, antenna, flagstaff, propellers, outriggers, and any item that extends beyond the stated width, height or length of the vessel. You must also take care to secure any screens, cushions, canvas or weatherboards. Other items which need to be included on the itinerary are dinghies, radar transmitters, and hailers. You will need to decide whether or not you wish to have the vessel shrink wrapped. This is not advisable on an oversized yacht, but might be advisable on smaller sized boats. This will protect the boat from dirt and road tar, but does have a tendency to rip and tear during the process. 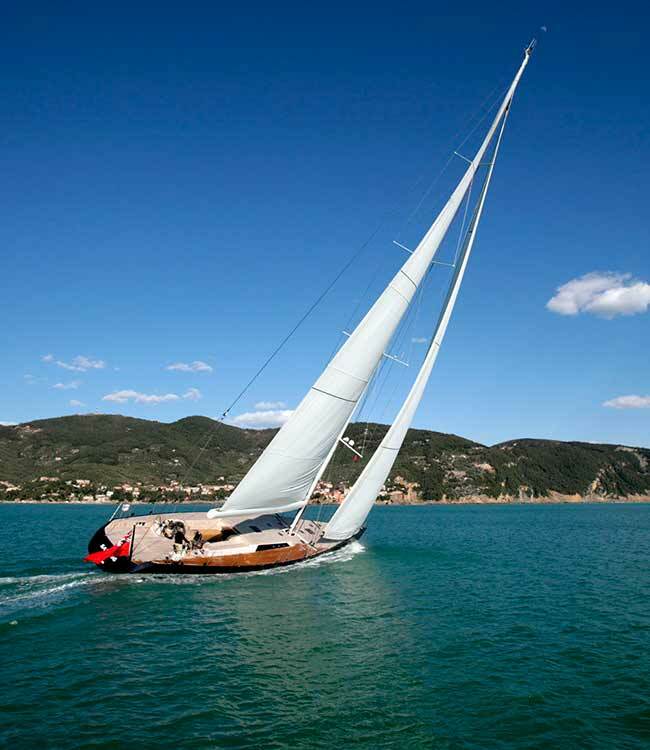 This in turn can cause damage through beating against the boat and if you are concerned that the haulage company may not have the ability to do running repairs on the wrapping you can always opt to just give the boat a wash down on delivery. There are many factors to consider when choosing a transportation company to handle the process of boat shipping to South Africa. Although cost is a primary consideration in all transactions there are many other factors involved and sometimes a cost cutting exercise can turn out to be more expensive in the long run. There are a number of potential hidden costs to be aware of and it is important that you let whoever you choose to handle the haulage process know that you are aware of all the costs involved and want these to be included up front in any quotation that they give you. The kind of haulage involved in transportation of boats is unique and in order to ensure the process is carried out with the minimum of aggravation it is best to choose a company which has a lot of experience with this type of transport. A boat transportation company will have the experience of working with boat yards, marinas, permit agencies and ports. They will have a clear picture of all of the paperwork required and areas in which there might be additional charges or tariffs. It is worth selecting a company which has specific experience with transporting boats to South Africa, and if possible a company that has transported a boat to the specific location that you intend sending your vessel. In addition the driver will have the experience of handling this kind of freight which requires considerable expertise in organizing the load. They will know how the load can be secured, balanced, supported and stabilized and have the skills to perform a thorough check of the vessel before and after it has been transported. Someone with experience in this form of transport will have a clear understanding of the regulations with regard to the point of destination, whether that is to a marina, port or dry dock. They will know what paperwork is required, and where to present it, which will ensure that the whole process of transportation is as seamless as you would want it to be. To ensure that the whole boat shipping to South Africa process is finished to your complete satisfaction it is best if you can meet your boat at the destination. The transportation of the vessel will be done via cargo ship and this will obviously take considerably longer than transport for the individual so it is best if you can arrange a flight to arrive before the boat does and you can then arrange to be at the destination to perform some of the final checks and ensure nothing has been lost or broken during transit. If you cannot be there yourself, or arrange for a friend or colleague to be at the destination, it is even more important that you have arranged the transit through a reliable haulage firm. There will be a required signature so it is important that you have faxed or emailed a copy of the itemized contents list so that the recipient can counter check the boat and its contents before signing off any release forms which declared that the transit has been carried out satisfactorily.